Happy Wednesday crafty friends! Today is my first official day of a month-long summer break! 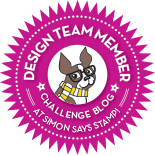 So excited and it's time for a new Simon Says Stamp Wednesday Challenge! 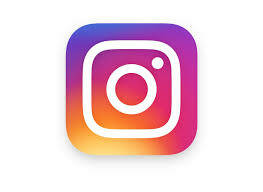 Before we get to this weeks fun challenge have you seen the Summer Kids Challenge going on now! The theme is Anything Goes with Sparkle! Click the link above or the logo below for more details! Encourage your younger loved ones to enter for a chance to win one of three grab bags! This challenge is such fun! For my project today I used the gorgeous Mandala Layer Stencil by Birch Press with some Altenew Sweet Dreams ink cubes and my round blending tools. I love the colors in this ink set and I just love the effect it gave the stencil. Once that was complete, I die cut my panel using the largest Avery Elle Wonky Stitched Rectangle. 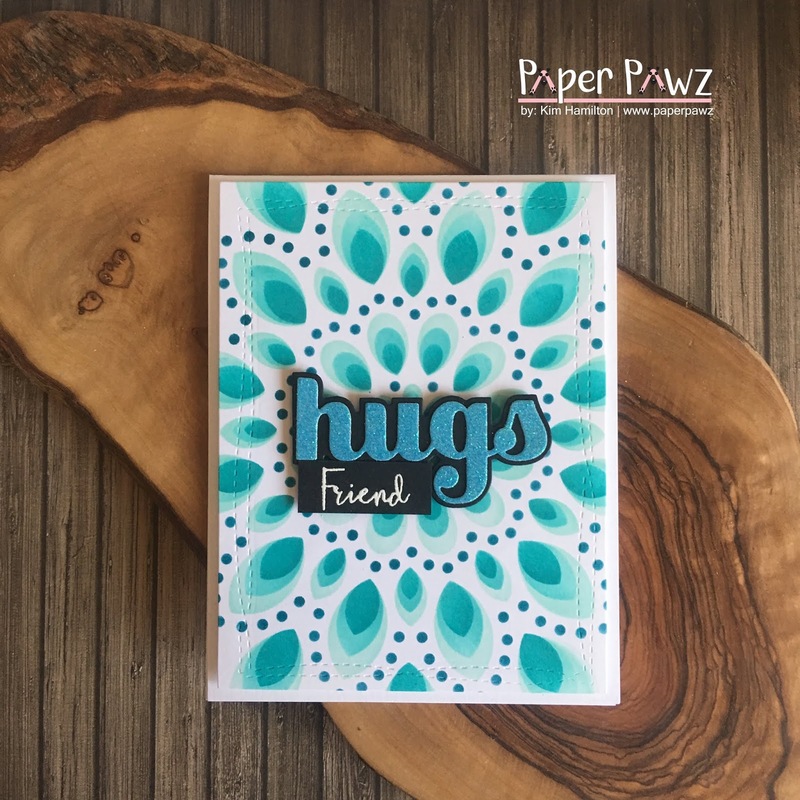 This was such a fast card to put together I decided to use this beautiful Birch Press Big Hugs Sugar Script die as my sentiment. For the background of the die I used Lawn Fawn Black Licorice card stock and Tonic Tropical Tide glitter paper for the top Hugs die. Once that was added to the panel I opted for the "Friend" sentiment from a Simon Says Stamp Brand Exclusive Spring Flower Burst (I partially stamped that sentiment with Versamark ink). 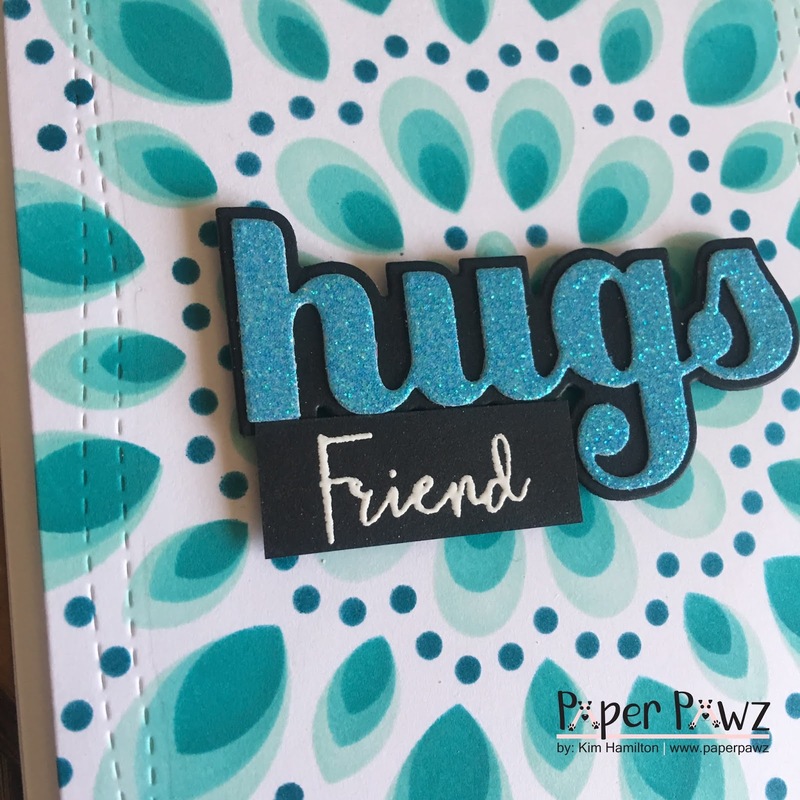 I then used my Nuvo White embossing powder and poped it up with foam tape as I did with the Hugs die. And that was it, super quick and I love the effect of this card! 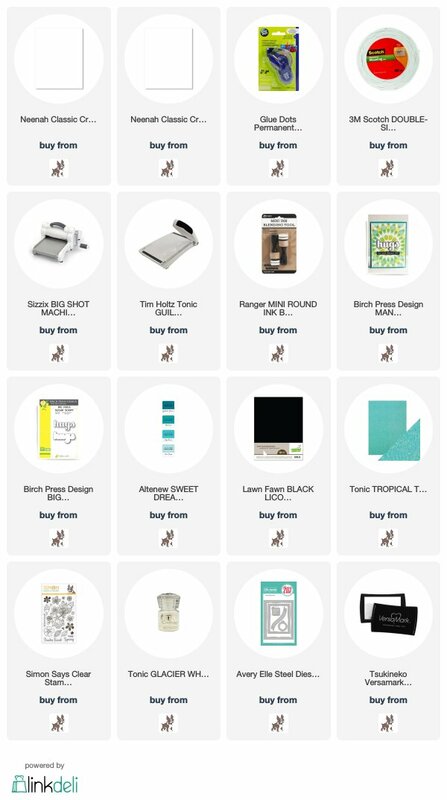 All of the products are listed and linked bellow! Simon Says Stamp Friendly Frolic! A Blog Named Hero Birthday Cards Challenge!